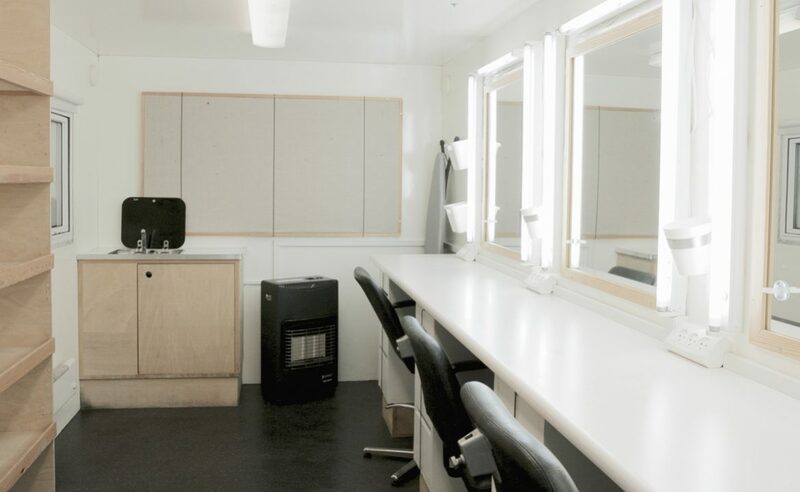 Our makeup/wardrobe trailer can be delivered together with the location bus or separately. 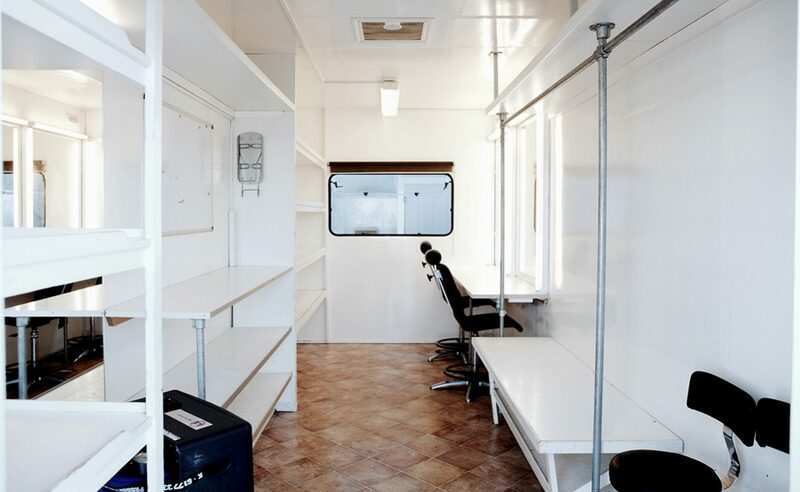 The trailers are decorated after feedback from industies stylists and makeup artists. Above you see pictures of two different kind of trailers. More or less they all have the same decor. 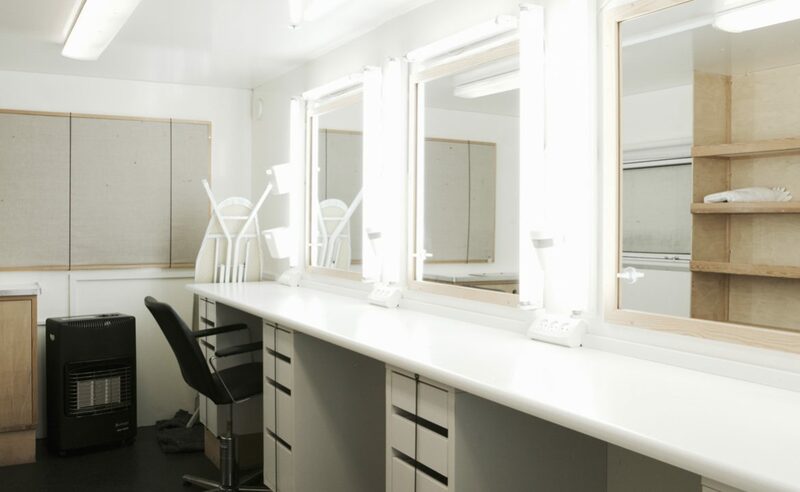 Every trailer has a standard decor of 2 makeup mirrors, shelf space, iron and board as well as fan heater.